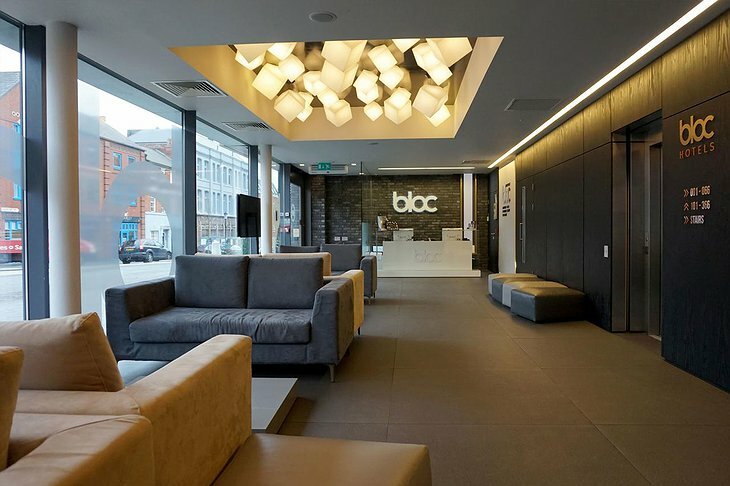 BLOC Hotel Birmingham is all about that comfort. 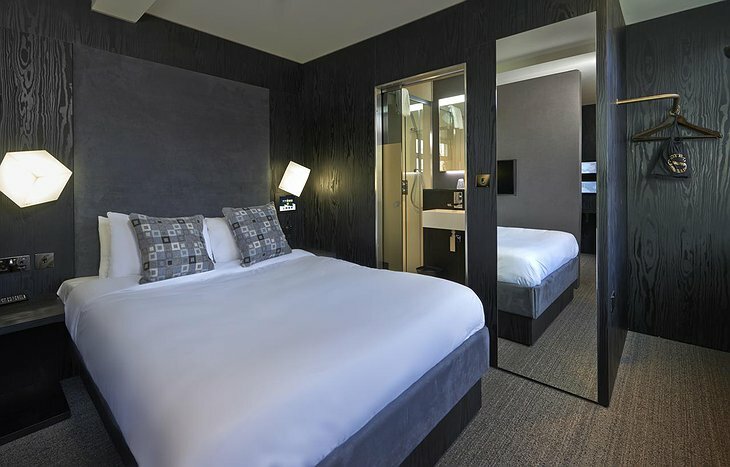 From easy public transport access to cleverly designed rooms, everything about this place is thought out to make things simple and convenient. 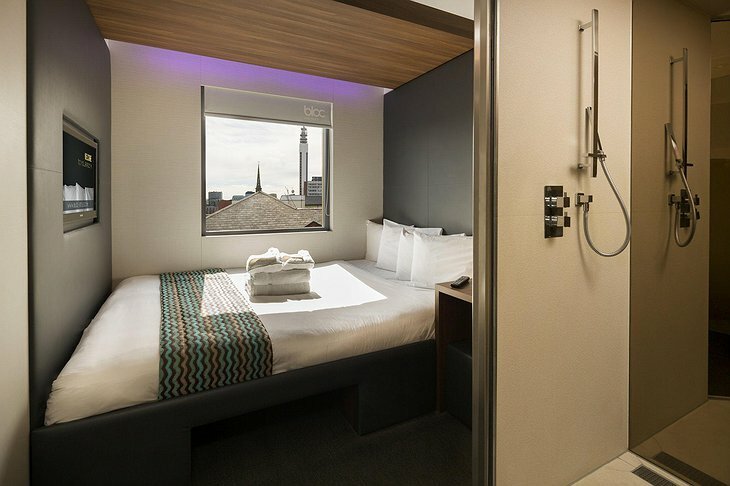 Throw in a bit of that sleek urban design and some tech novelty, and you’ve got a pretty solid choice for your next Birmingham trip. 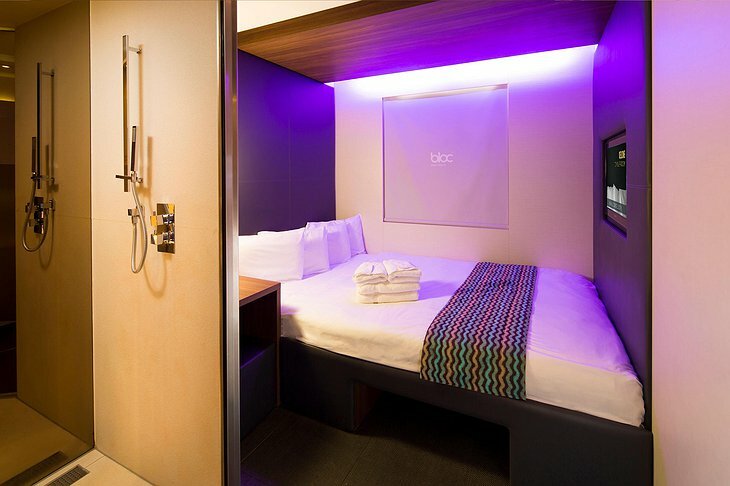 There is a lot to look forward to in BLOC rooms: beautiful bathrooms with monsoon showers, modern design, comfy king-size beds and really cool ambient mood lighting. 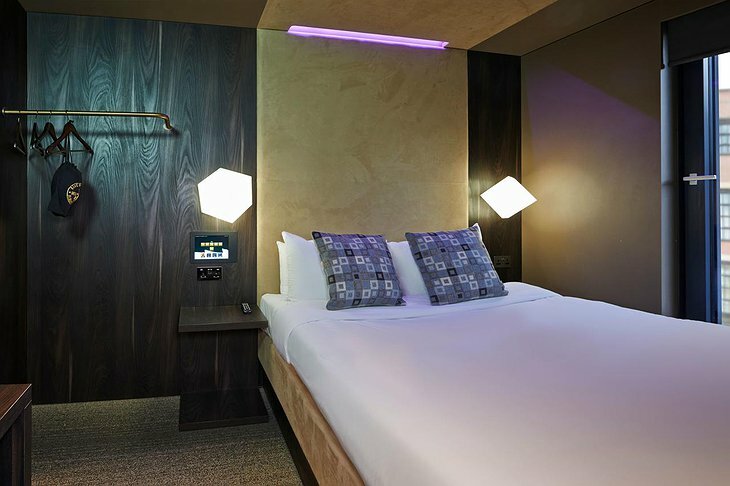 Plus, you’ll get to have fun with the high-tech amenities since everything from the smart TV to lighting is controlled from an in-room tablet. Thanks to Japanese space-saving design, the hotel did a good job at squeezing in everything you need into the 10 m2 and 12m2 rooms without making them feel too cramped. If you want something spacious, though, go for the Apartment Room which features a living area and a kitchenette. BLOC wouldn’t be an urban hotel if it didn’t come with a vibrant location. 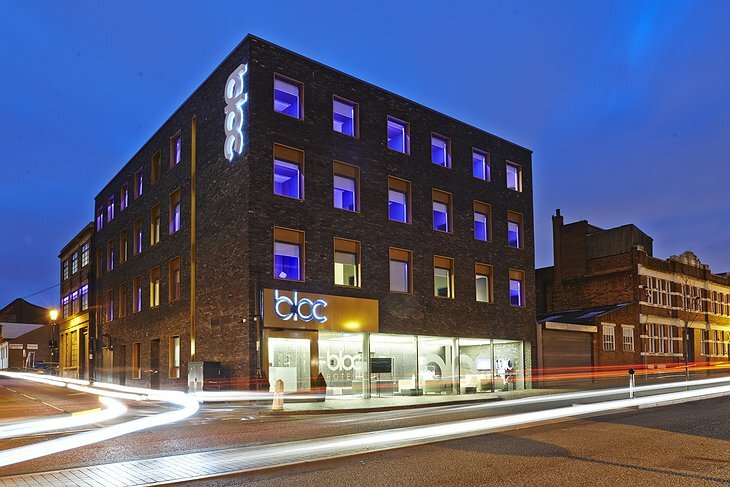 The Snow Hill railway station is within a short walk and the Birmingham International airport can be reached in less than 10 minutes by train. Set in the Jewellery Quarter, the hotel is surrounded by a number of restaurants, pubs, cafes and museums. A tiny room is a good excuse to go grab a pint in the pub, I guess?